Second annual tournament played at Pelihelvetti gameroom in Orivesi, Finland. 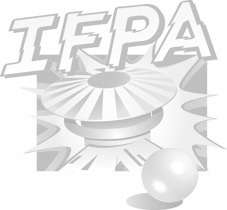 The name of this tournament is actually Orivesi Pinball Open, but with the tournaments sharing the same WPPR pot (base value of 12,5 for both), the tournaments also share the same name in the IFPA calendar. Five qualification machines, play 10 attempts total on these machines (max 3 attempts per machine). The best score of player on every machine will be compared to other players scores. The best score on a machine receives as many points as there are players. The lowest score receives 1 point. Players qualification total is the sum of these points from all five games. Top 12 or 16 qualifiers, depending on the number of participants, will advance to play-offs. Play-offs will be played best of three on games drawn randomly from the qualification machines. The final is best of five.